A little different from my usual posts. 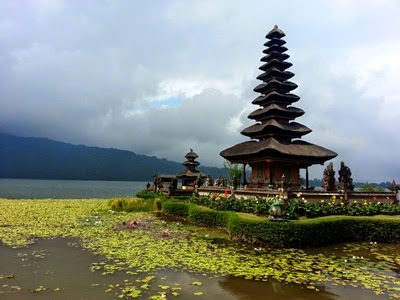 I recently spent 6 days in Bali, and here are a few snapshots of my holiday. 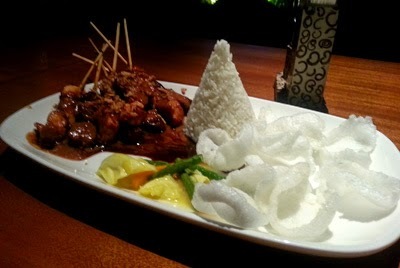 Lots of restaurants to eat at. 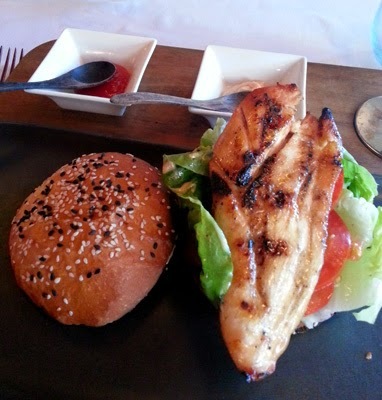 While a fairly cheap price, meals were pretty small compared to home. Our hotel pool was awesome. And because it was 30 degrees every day it was much appreciated. There was a nice big buffet breakfast included on our stay too which was great. And a free private shuttle back to the airport. 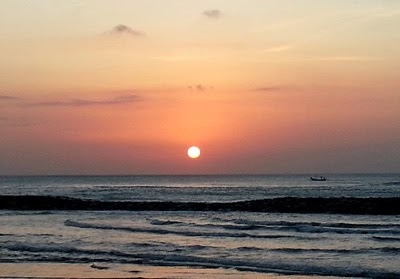 Sunset on Kuta beach was really nice. 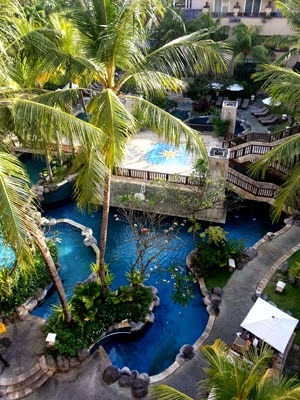 We stayed at the Kuta Paradiso Hotel. 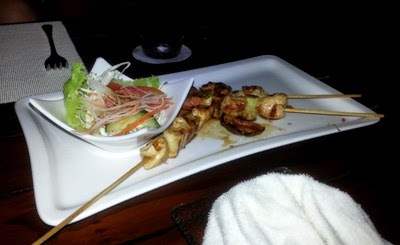 And although I don't intend on going back to Bali again, if I did I would definitely stay there. It was a great location and a really nice hotel for it's price. More dining out, in between day trips and walking around. 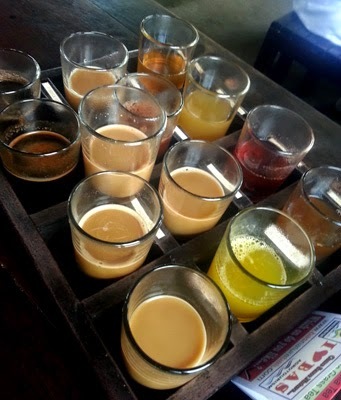 On one of our day trips we went to a coffee plantation and got to try out a lot of different coffees...including Luwak coffee. Where the only way they can get the bean is to get a possum-like animal to eat it and poo it out. The coffee is ridiculously expensive considering it comes from animal poo. 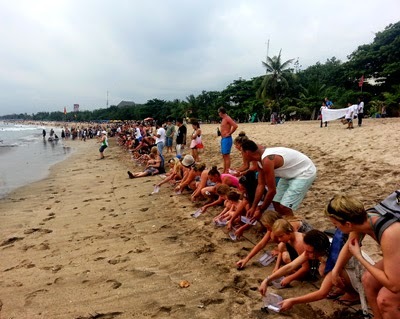 Turtle releasing on Kuta Beach. We didn't do it, but we watched people do it. The turtles are so tiny, going out into the big ocean. Lots of 2 for 1 cocktail deals. 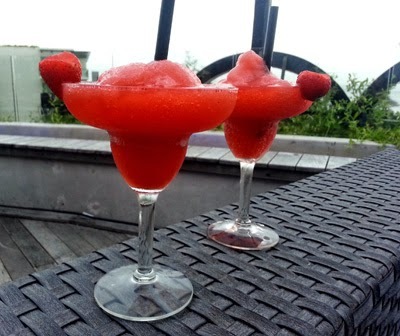 Frozen Strawberry Daquiris for me. A lot of temple visiting, it was a shame it was quite cloudy on the day we visited this temple. 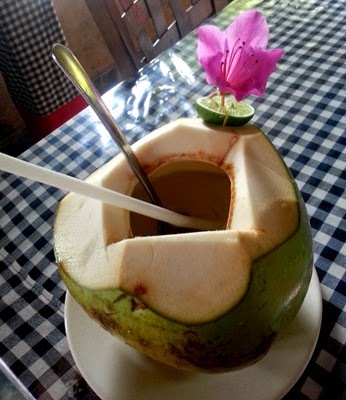 Fresh coconut juice, is of course a must have. 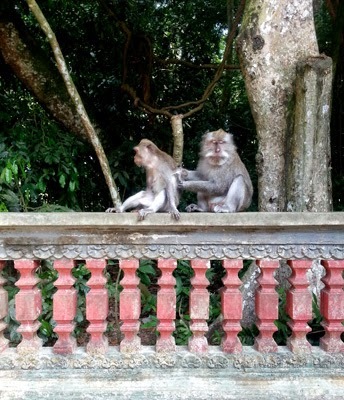 We went to the monkey park which was cool. I didn't feed them, but mum did. 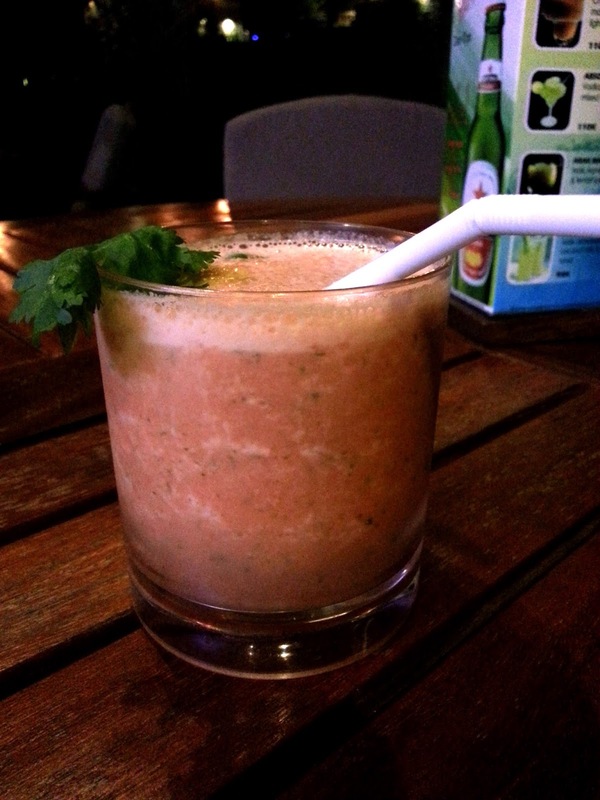 A ginger, lemon, carrot, and celery juice on our last night in Bali. We had a full day before going home, since our flights were at 10pm. So we spent the day at Bali Safari and Marine Park which was really awesome. 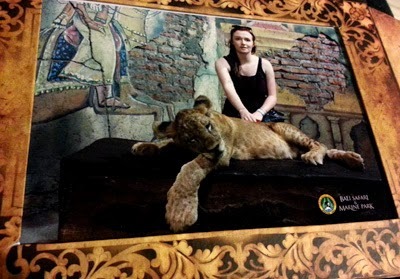 To pat a lion cub and get a picture only cost me $12 NZD. I love to travel, and I'm glad I've been. But I would prefer to go back to Malaysia than Indonesia. It was a nice holiday, but 5 days was enough time to spend there.